When it comes to versatile .308 ammo with fan followings in a variety of fields, the .308 has it all. The big, brash rifle round has always been popular for hunting, but it gained a great deal of its fame for its use by military snipers. Not only that, it’s used by police sharpshooters and serious big-game hunting, and when we say big, we mean big like how it used to be used for lions and Cape Buffalos, back before they became protected. Today, big game such as the kudu, hartebeest, and antelope are still hunted with the .308, and, of course, here in the States, we use it for moose, deer, and elk. Whatever you use your .308 for, you need ammo. Not just any ammunition, either; you need some good hunting rounds. 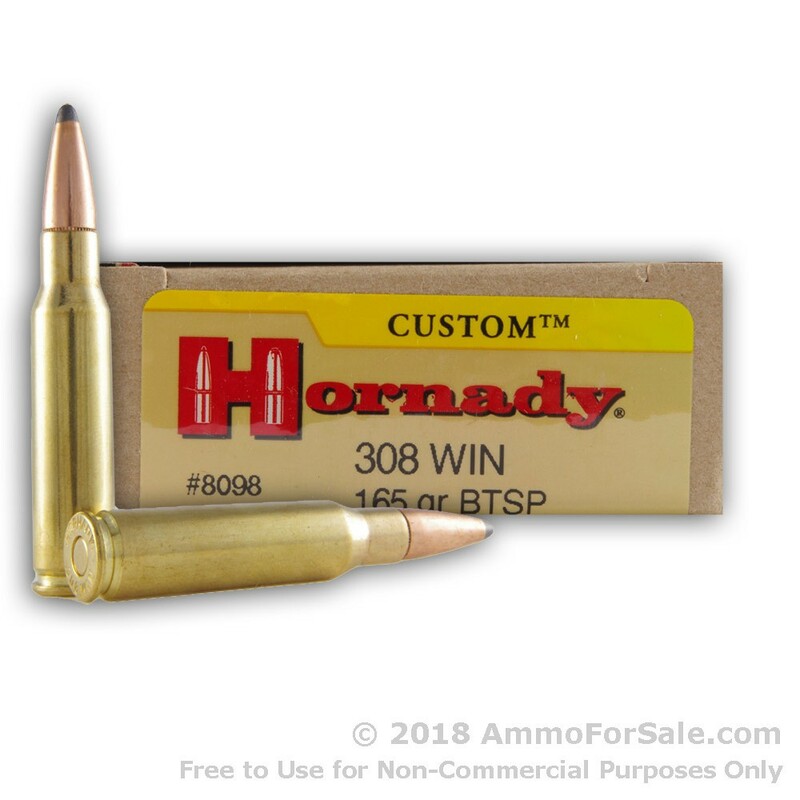 Hornady designed these rounds specifically to not just meet but exceed your expectations. A variety of features make these the ultimate hunting round, such as the strategically placed inner grooves carefully weaken these rounds for consistent expansion even at long ranges and their unique Interlock technology keeps the core and jacket locked together for maximum weight retention and even greater expansion. 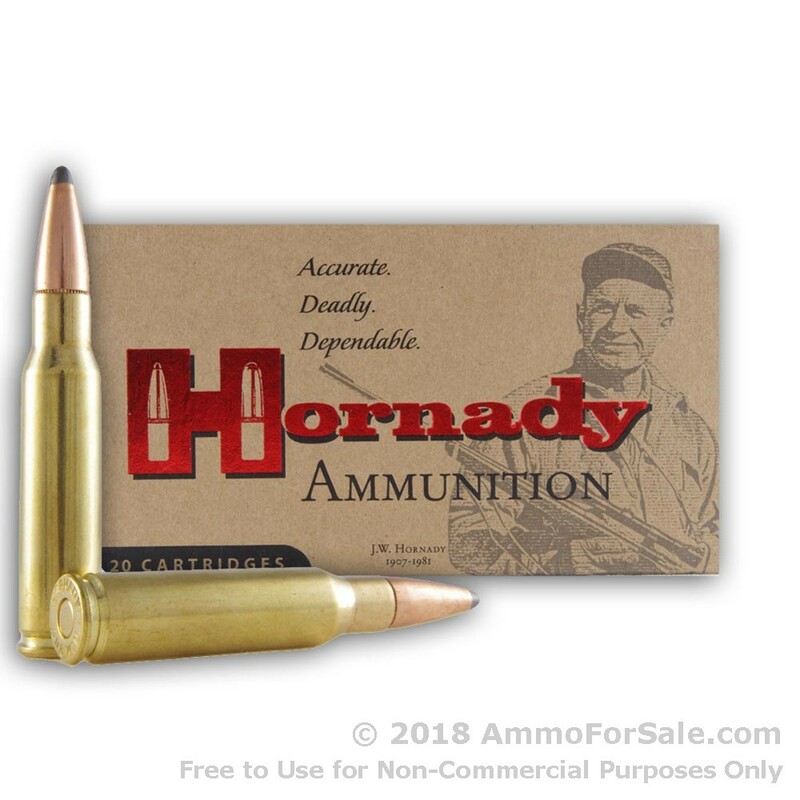 Hornady has been in business for more than sixty years, and for all those years production has taken place at their plant in Grand Island, Nebraska. They are the epitome of innovation and dedication to quality, and you couldn’t possibly trust your next hunt to a better company. At 165 these are fairly lightweight rounds, and that means more speed, which is an important part of a successful hunt. They’re Soft Points, so they’re capable of massive energy transfer and deliver deeper penetration than the average hollow point. Significant penetration and controlled expansion give you a cleaner kill, something all experienced hunters know is vital. These rounds also have Boat Tails which increase ballistic performance and help them resist cross-winds, making them better for distance shots. This ammunition delivers with a muzzle velocity of 2700 feet per second and muzzle energy of 2670 foot-pounds. 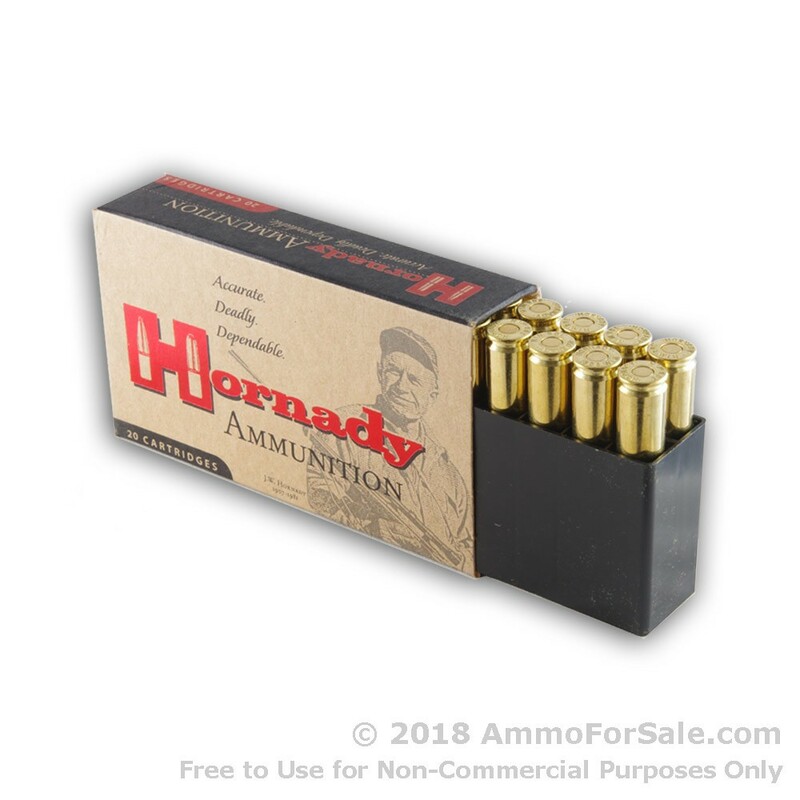 There are 20 hunting rounds in this box; it’s the perfect size for carrying in your pocket on a hunt or stowing in your safe in the days and weeks prior to hunting season. 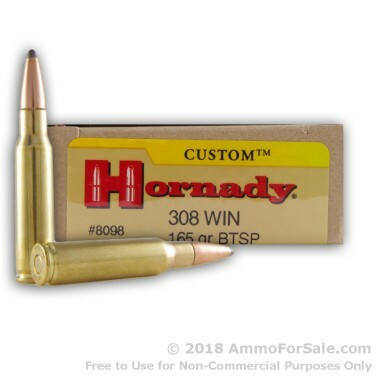 Have the season you’ve always dreamed of; buy Hornady.